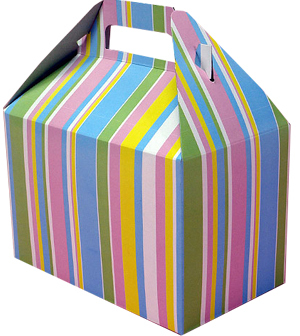 There gable gift boxes have many colors and design, coming in 3 size.Custom logo can be printed on boxes to get personalized gift boxes for party and occasion. 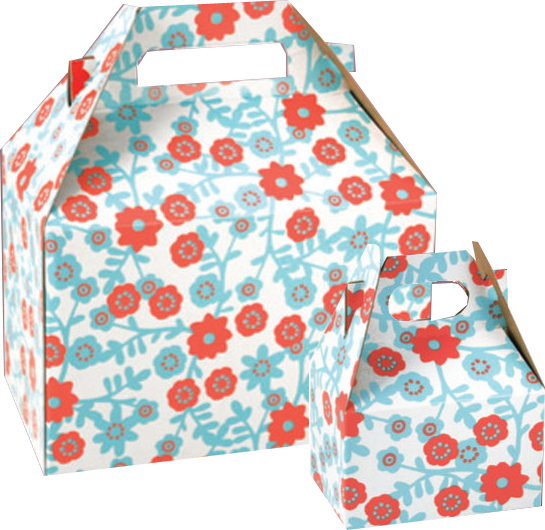 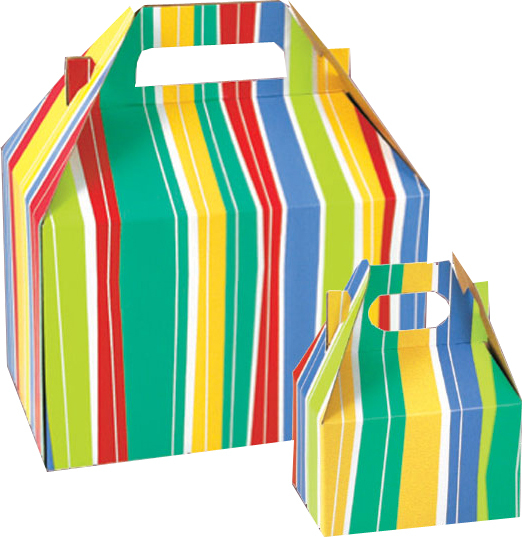 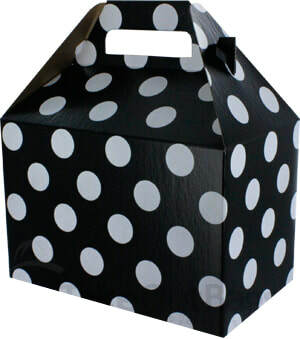 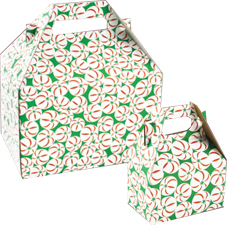 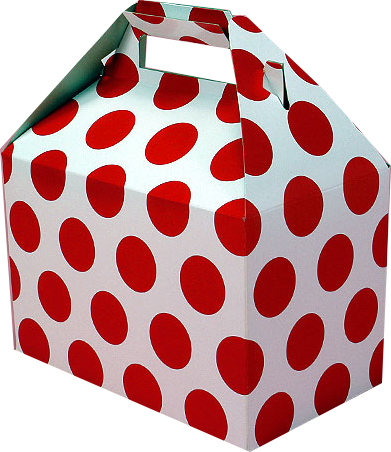 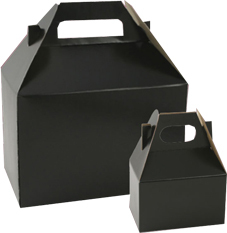 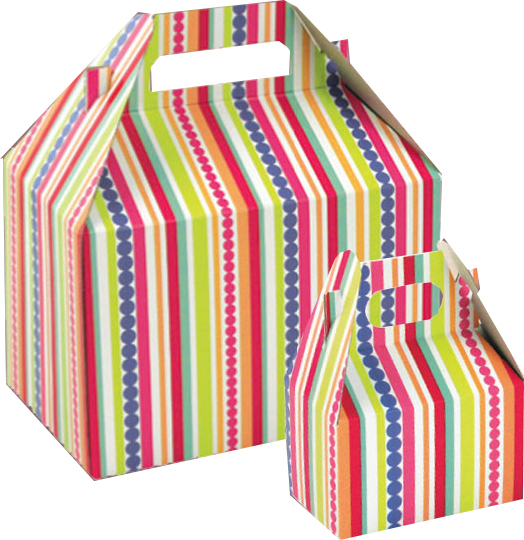 size: 1) 4 x 2-1/2 x 2-1/2" 2) 8 x 4-1/2x4-1/2" 3) 9 x 6 x6"
Gable boxes are a creative way for your business to shine brighter with versatility that gives the benefits of a bag and a box together in one package use for food packaging,lunch boxes,small gifts and more. 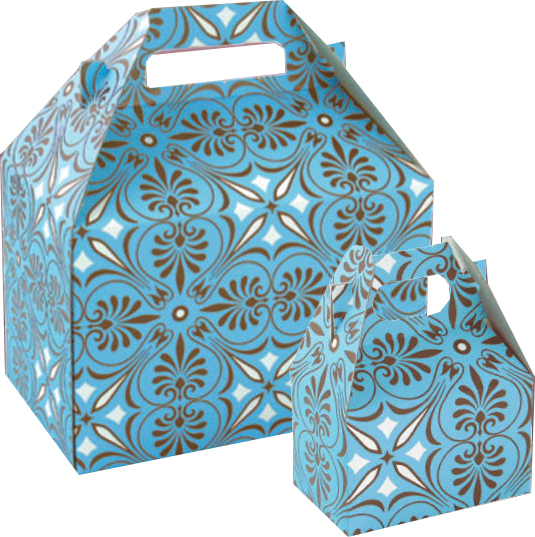 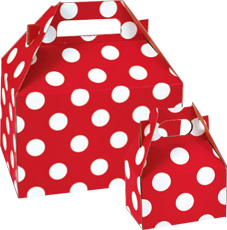 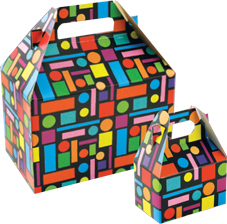 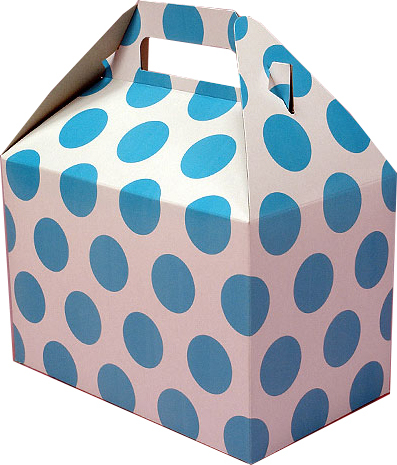 Gable boxes at Paper Bags Shop are made from E-Flute boxes,covered by card paper or kraft paper with solid color & creative design printing to fit any occasion.Those gable boxes are flat in storage and transport to save space and freight,and easy to assemble when use, to provide strong protection for package. 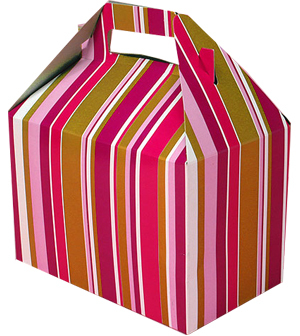 Gable boxes are versatile as you can wrap anything in it starting from chocolate candies to handicrafts to electronic gadgets. 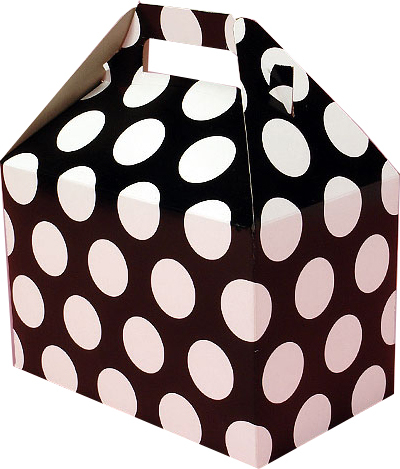 A fully cardboard made gable box secretly hides the gift within it. 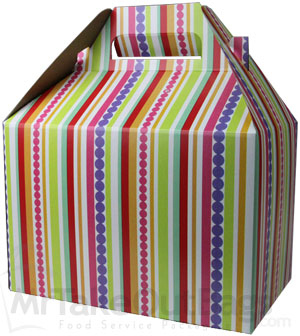 So, if you want to surprise your dear ones choose a gable box to wrap the gift item and see how their faces glow after they open it only to discover what lies inside. 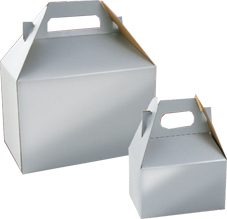 Contact with us now to get your gable boxes!